For anyone who knows me or who has followed my page for some time, you will be aware that living in rural North Devon we have struggled for many years with a very slow broadband speed. We often struggle to play videos with lots of buffering and sometimes things stopping altogether. A couple of years ago I tried to do Facebook live – but our upload speed was so poor that the quality was just rubbish.  People got fed up with watching and I got fed up with giving the wrong impression about the quality of my work! Since it’s launch in July 2017 I’ve had to plan well in advance to get my Patreon Channel videos online as each section generally took me a good 3-5 hours to upload! So a month’s worth of content was tying my computer up for the best part of 24 hours….frustrating to say the least! But, enter the Huawei B593u wifi router our new best friend! 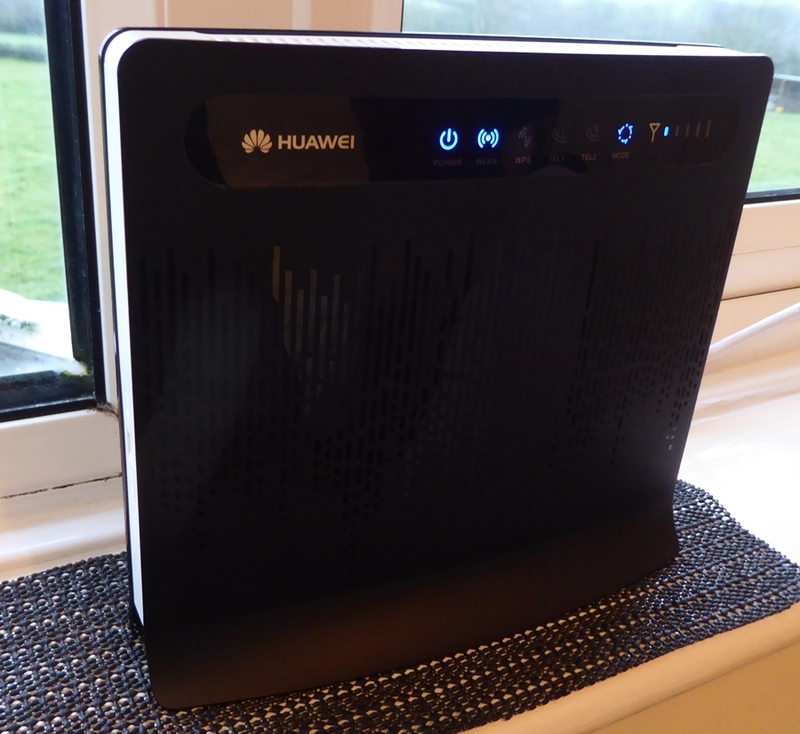 The Huawei works off the mobile phone network and we now work off this router instead of our phone line. You can see we don’t get a brilliant signal – just one or two bars. Despite this, the other evening I started a whole month’s worth of Patreon videos uploading and the whole process was complete within the hour.  If only we had known about this a couple of years ago!! I didn’t have a picture of me ‘going live’ so this little wren will have to do! Feel free to leave me a comment below, maybe you have an idea for a live painting/tutorial you would like to see or maybe you just want to say “Hi”. Previous Previous post: My budget brush holder!